If you know Suwannee River native and UF IFAS Wildlife Ecology and Conservation PhD Student Travis Thomas, then you know he has a passion for turtles. 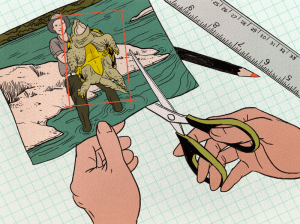 Specifically, Travis worked for years on a project to elevate the Suwannee River alligator snapping turtle to the status of being a separate species (Macrochelys suwanniensis)! Listen to the podcast below to find out more about why Travis’s story to name this turtle took an unexpected turn a few years ago. Thanks to the Undiscovered Podcast and Science Friday for their amazing work to tell these stories of science! 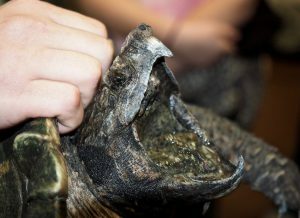 The powerful jaws of an alligator snapping turtle. 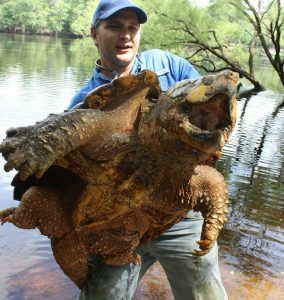 Did you know that the Suwannee River alligator snapping turtle is only found in the Suwannee River? That’s right! This local treasure is what we call an endemic species. The term endemic refers to a species that is only found in one isolated location. Endemic species are often more vulnerable to extinction because it only takes a relatively small event (like a chemical spill, for instance) to impact their entire habitat range. Because of this and other scientific findings (like studies on population size, etc. ), the Florida Fish and Wildlife Conservation Commission recently decided to list the Suwannee River alligator snapping turtle as “threatened” in state waters. Travis’s work and the work of his colleagues at FWC led to this important science-based management decision. The link between science and management will continue to be strong for this and other species thanks to the great work of university and state agency partnerships! Savanna is a Regional Specialized Extension Agent based in Cedar Key, FL at the UF/IFAS Nature Coast Biological Station. 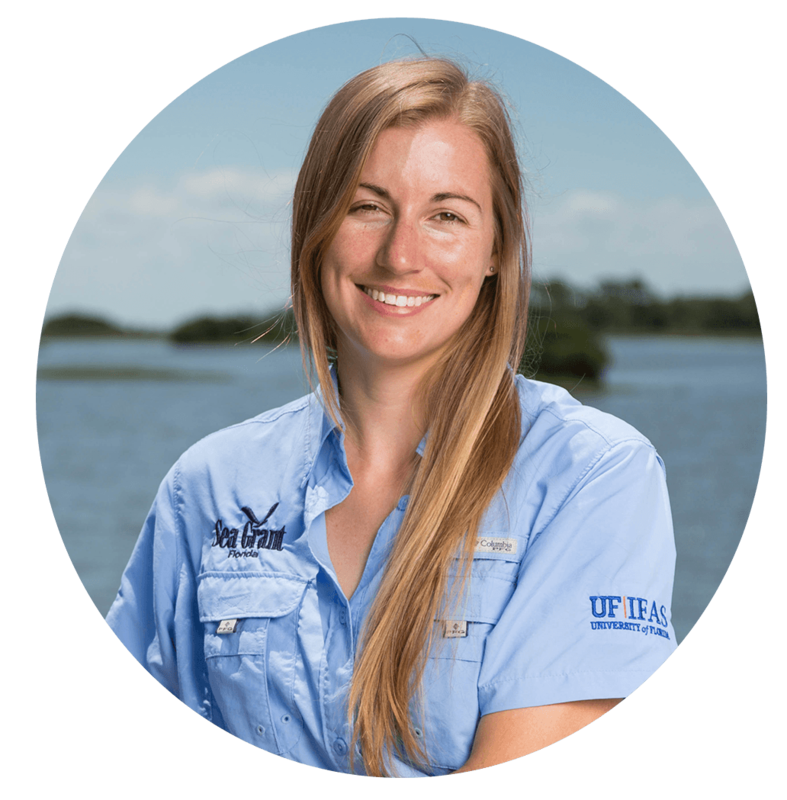 She specializes in coastal marine ecosystems, especially seagrass meadows.